Bergtatt - a Rallar Opera is a new chamber opera written, directed and staged by ARP. The opera bases its story on the building of the beautiful and challenging Bergen Railway in Norway. It was a railway that no one thought could be built. But thanks to the Rallare, the Engineer and the Cook and their strong sense of collaboration and mutual responsibility, the railway was completed in 1909. After 15 years, 63 casualties, several wounded and 2 500 000 FTE's. Bergtatt is the story of those three characters, and the hardships and challenges they met. As well as the strong emotions and sense of fate that tied them together. 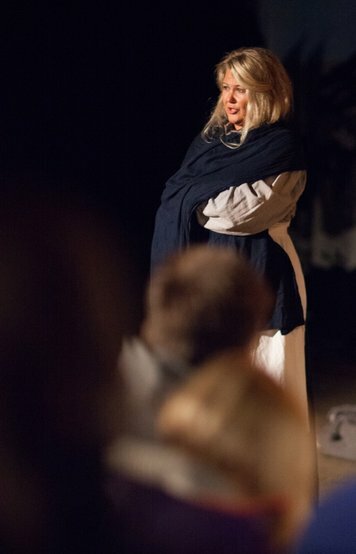 The opera combines live opera, old music, new librettos, documentary film, silent movie and soundeffects - all to deepen the understanding and respect of this unique project that tied Norway - East and West - together. It premiered at arctic Finse in september 2012, as the first opera ever to be staged in the barren and rough surroundings where there are only 9 inhabitants, and the only means of getting there is by train - on the Bergen Railway!